British author Neil Gaiman once said that 'A book is a dream that you hold in your hand,' a sentiment reflected whole-heartedly in the wonderful Seven Stories, the UK's National Centre for Children's Books. 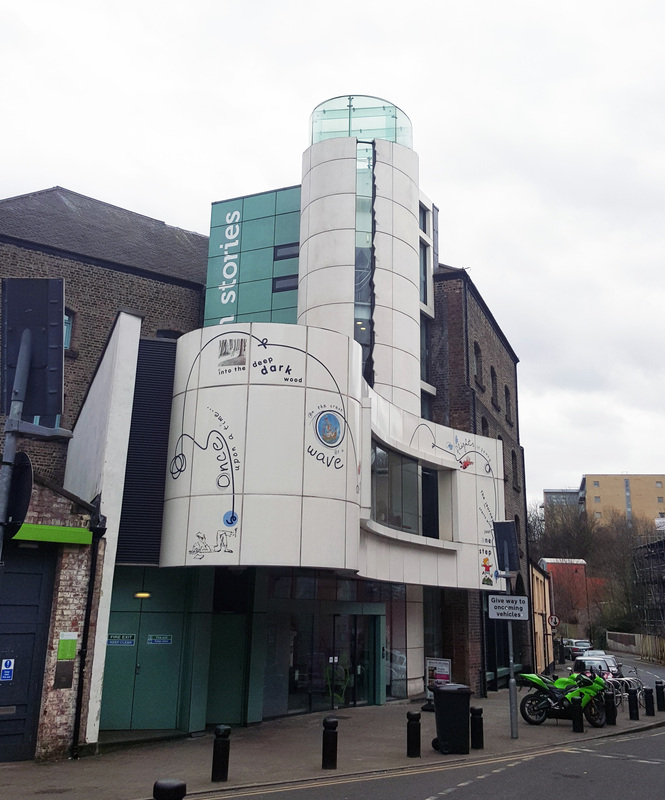 Located in the seven-storey building of a former Victorian warehouse built in the 1870s in Ouseburn Valley, Newcastle upon Tyne, the Centre celebrates books and stories with an exciting blend of fun activities, exhibitions and events for all the family. 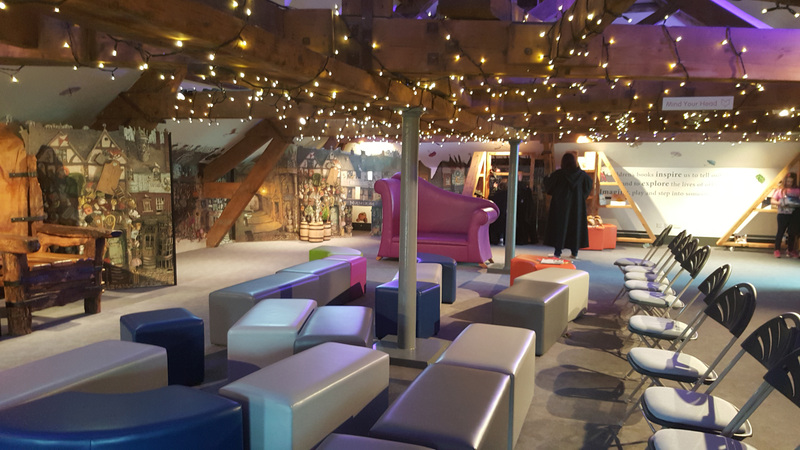 Youngsters will love the attic on the top floor where illustrations by Jim Kay of Diagon Alley from 'Harry Potter and the Philosopher's Stone' currently line the walls. This vast space has nooks and crannies, sofas and seats where children can sit and look through or read books on the shelves or listen to their parents or teachers reading to them. Three of the floors are dedicated to exhibitions, most of which are designed for children to enjoy. When we visited there was a nursery rhyme exhibition, a showcase of illustrator and writer, Michael Foreman's work and another exhibition of the illustrations of Jim Kay for the seven Harry Potter books. 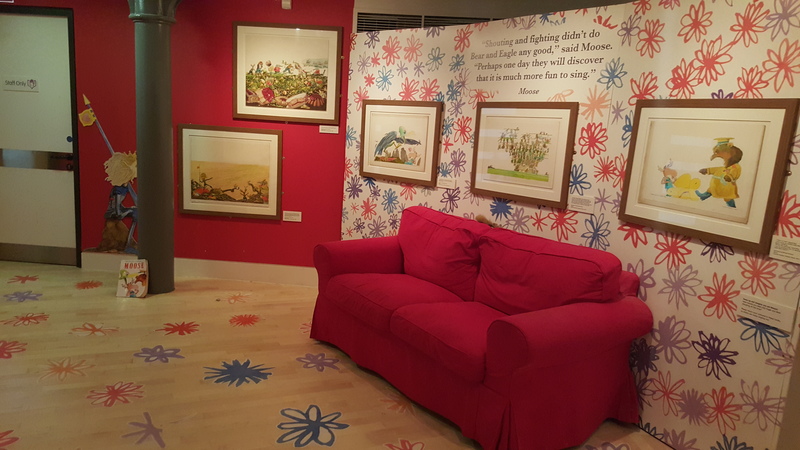 There are comfy places and sofas in two of these exhibitions where children can sit and read or look through some of the books featured in the exhibition. Activities include dressing up in costume, wordplay, drawing and crafts. Videos and static displays bring these exhibitions alive for the adults and older children. A café and coffee shop on separate floors provide light refreshments and lunch for hungry readers. Next to the coffee shop is the Centre's book shop, one of the UK's largest, independent book stores with about 50,000 titles. On the lowest level of Seven Stories is the Word Lab where you can view manuscripts from the centre's amazing archive, housed in a separate building in Felling. A substantial amount of original artwork and manuscripts have been donated to the Centre and the collection continues to grow. Patrons of the Centre include Jacqueline Wilson, Terry Jones, Philip Pullman and Quentin Blake, some of the UK's best known and well-loved children's authors and illustrators. A changing programme of events is run throughout the year for babies and toddlers, middle-graders, young adults and adults. These include sensory story sessions for little ones and their parents, story times, illustration masterclasses and presentations by visiting speakers. Many children's authors visit Seven Stories and run workshops or give talks. School groups and sessions are well supported.